Patron Security Ltd is an Insurance approved, independent security systems company based in Ashford, South East England providing installation, maintenance, repairs, monitoring and Police Response of high-quality intruder alarms, CCTV, access control, fire alarms, nurse call system and gate automation. We cover a large area of South East England including but not limited to – Maidstone, Ashford, Tonbridge, Dover, Canterbury, and Sevenoaks. 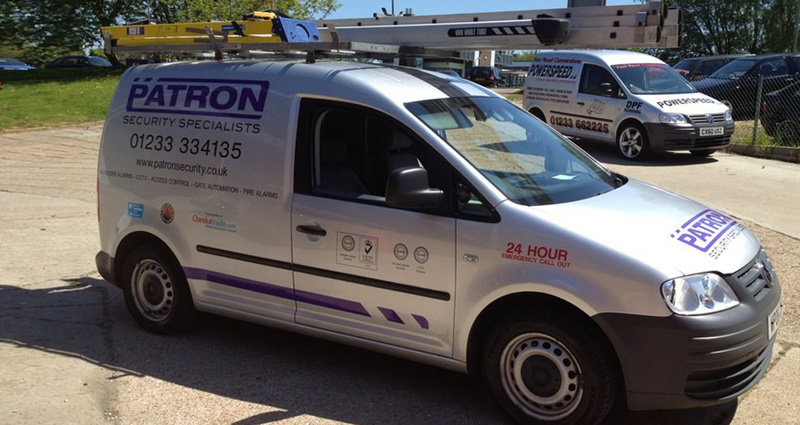 Providing a Genuine 24 hours a day 365 days a year call-out service to all of our maintenance customers within 4 hours. With the S.S.A.I.B we are also certificated in installation, maintenance and monitoring of Intruder alarms, CCTV, and Access control systems for business premises and domestic dwellings. All systems that we design and install are individually tailored to your requirements. The equipment chosen is proven, reliable and installed to a high standard giving you a Professional Security System.